Often dismissed as a nineteenth-century curiosity, spiritualism in fact influenced the radical social and political movements of its time. Believers filled the ranks of the Free Democrats, agitated for land and monetary reform, fought for abolition, and held egalitarian leanings that found powerful expression in campaigns for gender and racial equality. 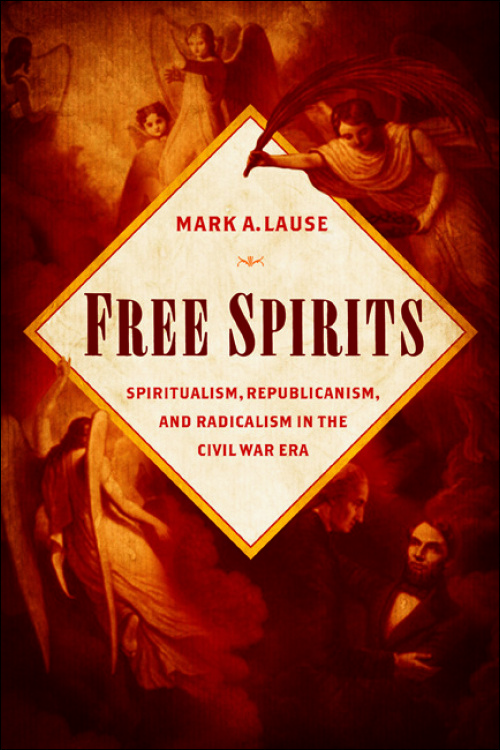 In the new UIP title Free Spirits, Mark A. Lause considers spiritualism as a political and cultural force in Civil War era America. Lause reveals the scope, spread, and influence of the movement, both in its links to reformist causes and its ability to amplify previously marginalized voices. Rooting spiritualism’s appeal in the crises of the time, Lause considers how spiritualist influences, through the distillation of the war, forced reassessments of the question of Radical Republicanism and radicalism in general.